MODEL NCH49 - Kitchen Island Pendant Light! 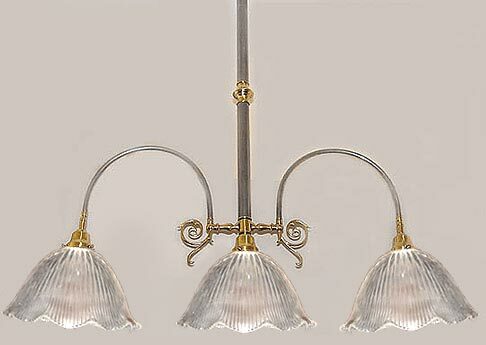 A French Country style kitchen island 3 light pendant. Also great for over a longer rectangular or oval dining table or a billiards table. This French Country chandelier also features 10 inch prismatic 'pie crust' glass shades to add realism. Custom height is no problem!